The NSW Labor party has pledged to host a large scale, 3-day music festival at Allianz stadium if it wins the election. 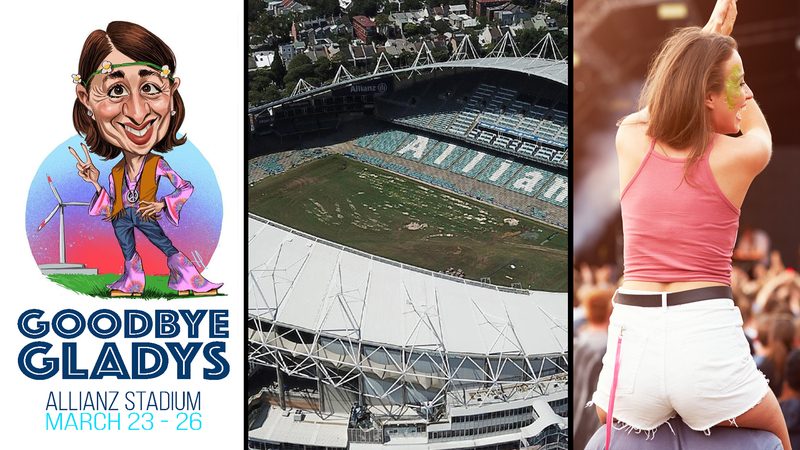 “The stadium may already be in a state of ruin, but what better place to farewell Gladys Berejiklian?” says Labor leader Michael Daley. The Berejiklian government’s $730 million plan to demolish, and rebuild Allianz stadium has angered voters just two weeks before the state election.